Q0059: Asalamu alaykum, I suspect someone put sihr in my food to seperate my from my family. Since I ate the food I have been having problems with my family. How do I check? If you get these sensations it may mean that you have sihr lodged in your stomach. It's very important to get it out. 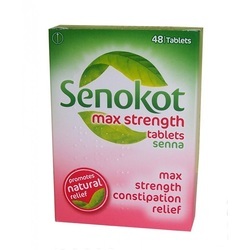 To remove it you must have Senokot tablets that are available from most pharmacists. It contains senna which is a natural laxative and should flush out anything in your stomach. You should also make ruqya sidr honey (or any organic honey) and eat that every morning on an empty stomach. How do I make ruqya water/ oil/ honey ect? 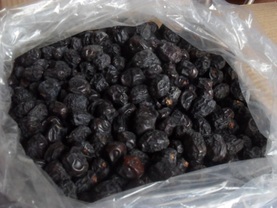 Also try to buy ajwa dates or get them from Medina, Saudi Arabia if you know anyone going on umrah. Or you may buy it from your local grocery / Islamic store. They are more expensive that normal dates. Eat seven on an empty stomach (before breakfast) for seven days. Hopefully this will weaken the effects of any sihr (magic) left in the body. Finally please observe the following protection prayers as they not only protect you from further attacks but also weaken the affects of magic in you. How long will it take to be cured from the magic? Many people ask how long will it take to be cured from the magic? Unfortunately, there is no simple answer depends on multiple complex factors such as how often it is renewed, how it was administered, if there is a charm (taweez) involved was it destroyed, was the magic invalidated but most importantly what SINCERE effort you are making to help remove it. 1) Firstly by having a positive outlook and faith in Allah. 3) Persevering and not giving up- getting rid of sihr is very similar to losing weight you won't lose it all over night but everyday you need to make small efforts like eating the right food and doing exercise and you will see gradual weight loss. Some people are single and have free time and can do a lot of ruqya other people have family commitment and work and can only do a little but but ultimately everyone needs to make the effort that Allah (swt) has given then the ability to do.